Where will you spend the holidays? Will you plan a getaway to an exotic destination? A weekend trip with someone special? Maybe a family vacation for traditional Christmas fun. Or perhaps you'll stay close to home and enjoy everything nearby cities have to offer. Whatever your holiday itinerary, we're here to help make the planning easier. We'll offer suggestions of things to do and the best places to stay. Just choose from the list on the right to see some of the holiday traditions each destination offers. Wherever you live in the US, there's likely to be places with fun local customs nearby. Or maybe you'd rather hop on a plane and escape the cold to a locale where you can sink your toes into the warm sand of a tropical beach. Already live somewhere warm? Then head for the slopes! Ski resorts are a great place to spend the holidays - and you're guaranteed snow. New York City, always colorful and lively, is even more so during the holiday season. In Asheville North Carolina you can enjoy artisan galleries, many restaurant choices, and the historic Biltmore Estate, all in a beautiful mountain setting. 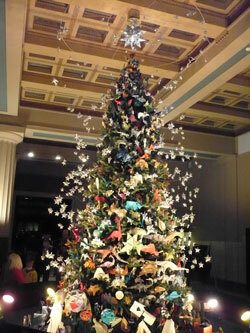 Visit Washington DC to see the National Christmas tree and enjoy museaums and holiday concerts. See fireworks in a tradional setting in Colonial Williamsburg, VA. If you like music, good food and night life, all in a warm setting, you'll enjoy doing Christmas New Orelans style. And speaking of music, if country music is your thing, Gaylord Opryland in Nashville puts on quite a show. Ski resorts make great Christmastime destinations. The snowy landscape and cozy fireplaces make perfect settings for a holiday getaway. One of the best ways to enjoy a family holiday ski vacation is with a vacation rental. With a rental, you'll have the comforts of home, plenty of space for large gatherings, and the privacy to spend time in your PJs. 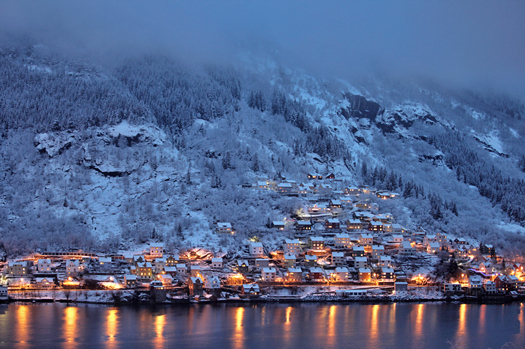 Christmas holiday ski destinations and vacation home rentals. So many cities and towns here in the United States and around the world celebrate special traditions throughout the Christmas season. In addition to the Christmas travel destinations we feature here, we're compiling a growing list of Christmas celebrations around the country. And we're featuring videos of some of Christmas celebrations from here and elsewhere around the world on our videos page.